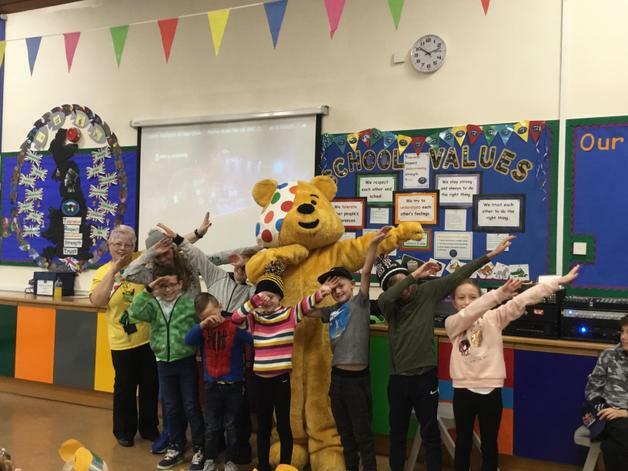 Children in Need - Dabbing with Pudsey! The children had an amazing surprise this morning in their assembly – a visit from Pudsey Bear! Joanne from Asda brought him along to see us. Joanne and Pudsey couldn’t stop long as they were on their way to the TV studios – look out for them both tonight on Children In Need. Thank you all for your donations and thank you to Joanne and Pudsey for visiting us. We raised an incredible £165! Thank you for all of your donations!